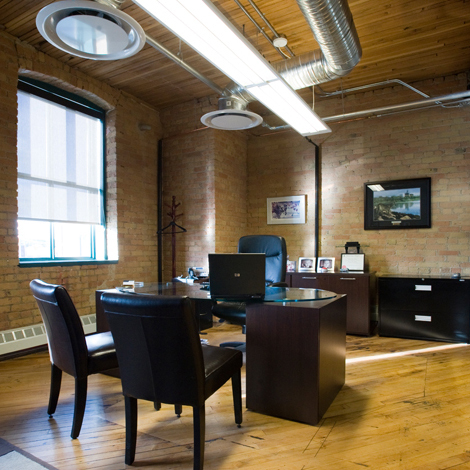 This project highlights an adaptive reuse of the Campbell Wilson Millar Building, one of downtown Saskatoon’s prominent heritage warehouse structures. 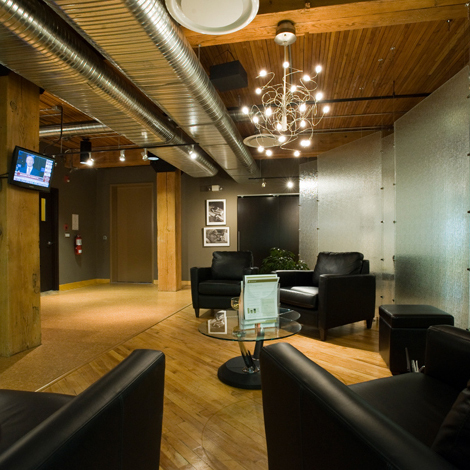 The large client focused waiting area was an important design element and was strategically positioned in close proximity to the boardroom and signing rooms. 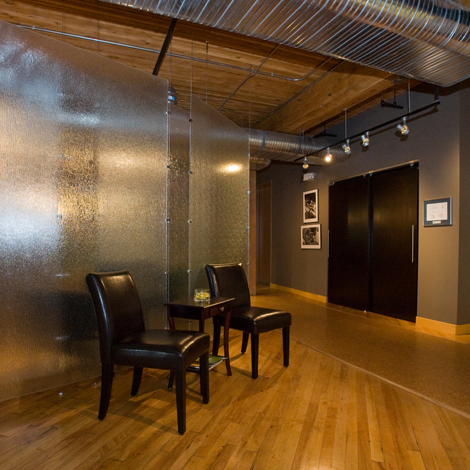 The requirement for privacy and confidentiality was achieved through a series of private offices along the perimeter of the building. 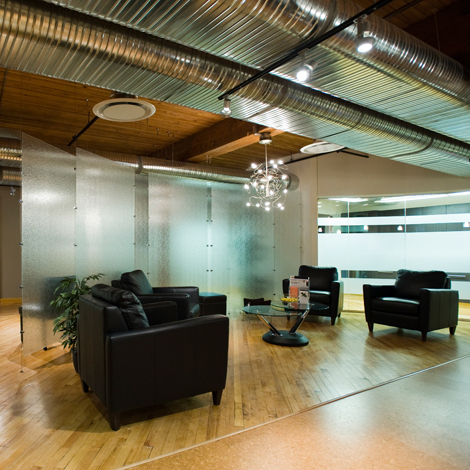 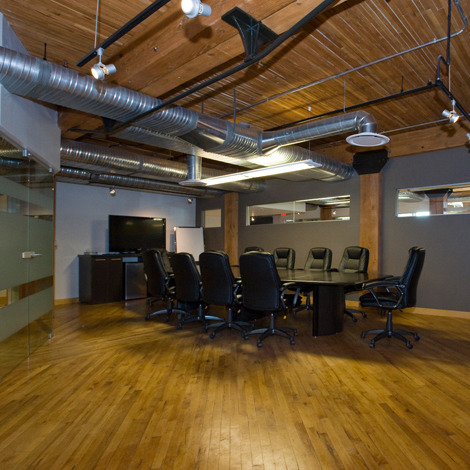 Clerestory windows in the boardroom allow natural daylight from the west windows to filter into the central spaces. 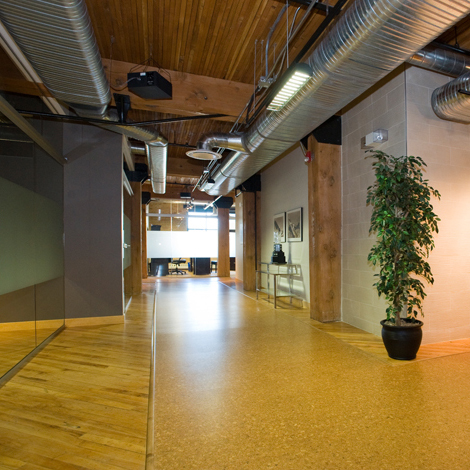 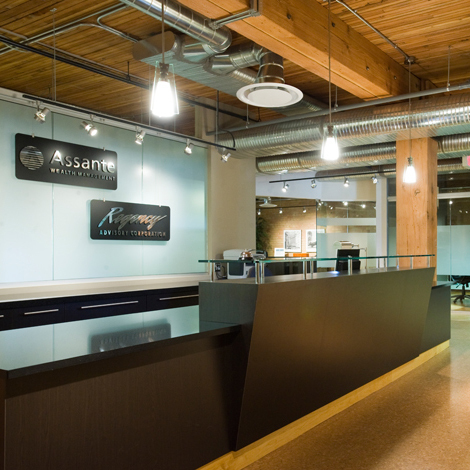 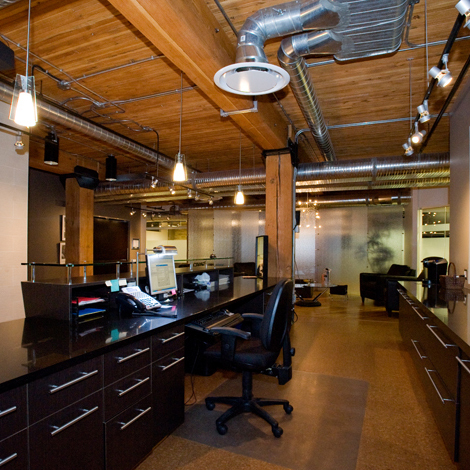 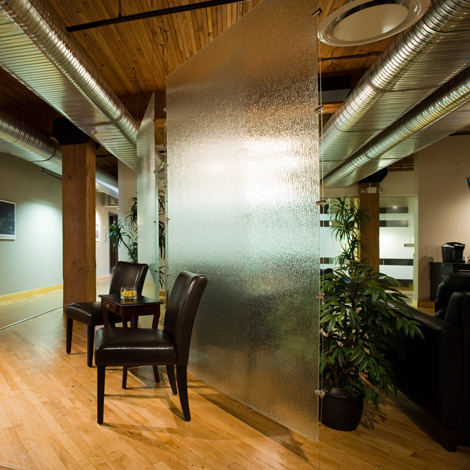 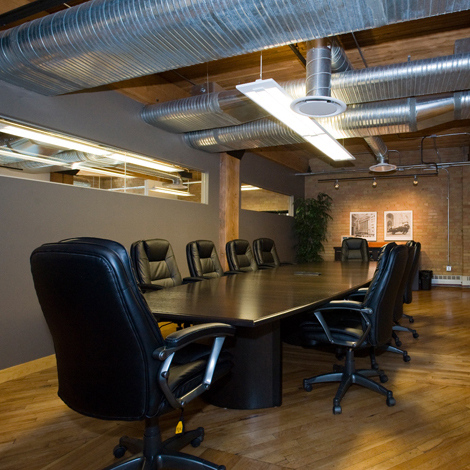 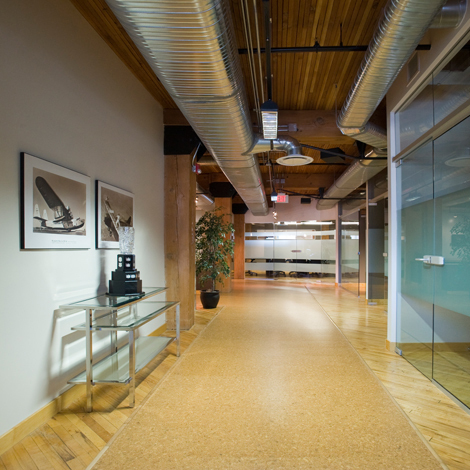 Dark wood grains, black quartz countertops, and rich colours bring a more traditional feel to the office space. 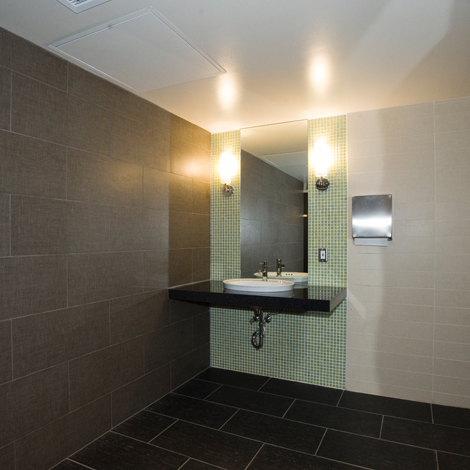 The opportunity to infuse modern elements such as suspended textured glass panels, modern artistic light fixtures, glass wall tiles, textured porcelain wall tiles, and cork flooring runners give the space an interesting composition.